RYANAIR AVIATIONS MOST EXPLOITED AIRLINE WORKFORCE .We are in no way affiliated with Ryanair. 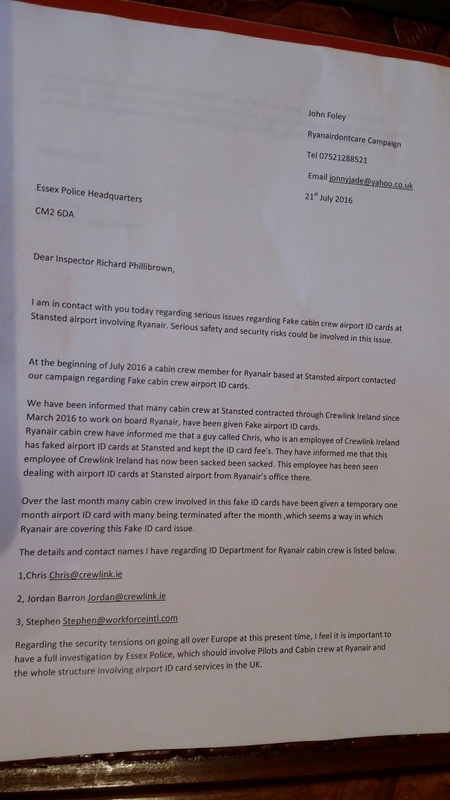 : RYANAIR CABIN CREW FAKE AIRPORT ID CARD AT STANSTED AIRPORT THROUGH RYANAIR SHELL COMPANY CREWLINK..CABIN CREW TERMINATED TO COVER THE SCAM UP. 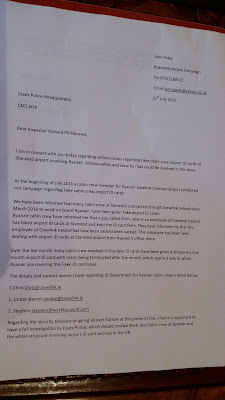 RYANAIR CABIN CREW FAKE AIRPORT ID CARD AT STANSTED AIRPORT THROUGH RYANAIR SHELL COMPANY CREWLINK..CABIN CREW TERMINATED TO COVER THE SCAM UP.